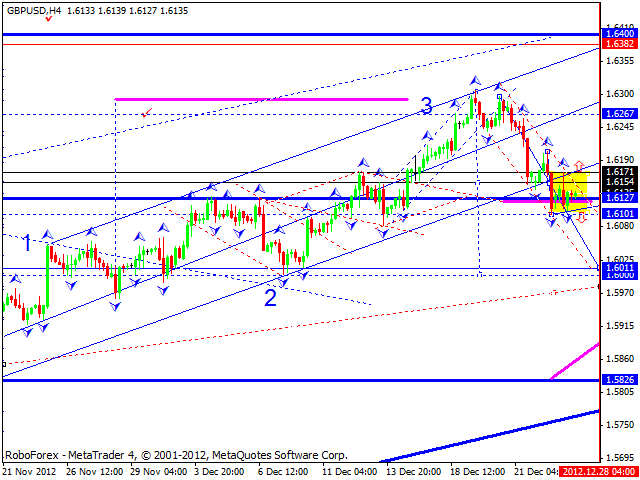 The EUR/USD currency pair is trying to start forming a new ascending wave. I should note that this correction seems to be a very short one. 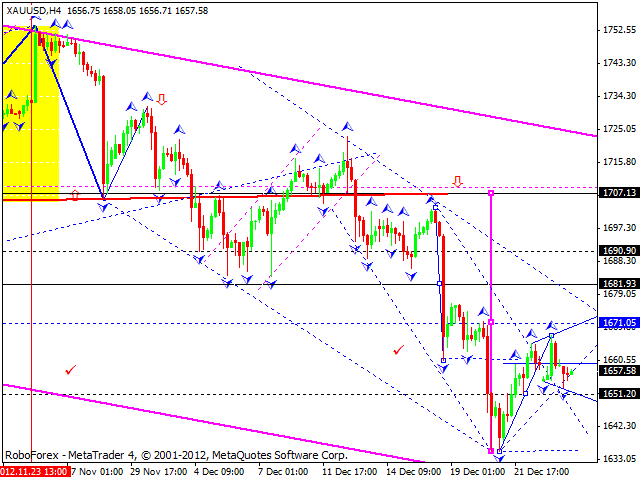 The minimum for this correction is the level of 1.3080. 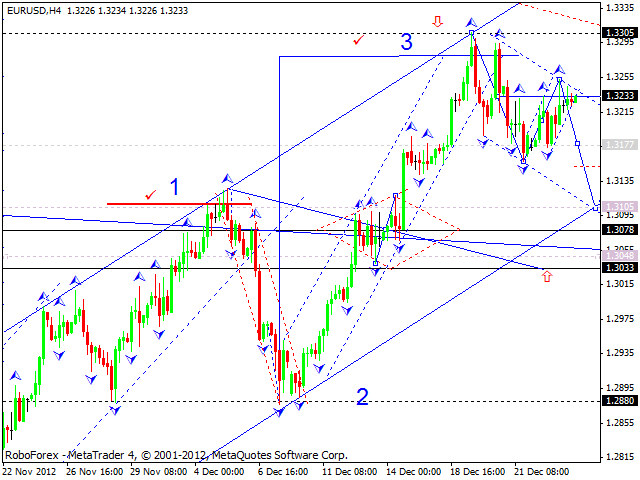 I think the price may continue moving downwards; a local target is at 1.3110. The structure of this possible correction is shown on the chart. Today, in my opinion, the pair may form a consolidation channel at the current maximums and then continue falling down. However, if the price renews the maximum of this ascending wave, the pair may form “double top” pattern and then start a more serious correction towards the level of 1.3000. The GBP/USD currency pair continues moving near its minimums and forming a consolidation triangle below the channel’s border. I expect the price to continue moving downwards with the target at 1.6010 and then return to the current level of 1.6150. 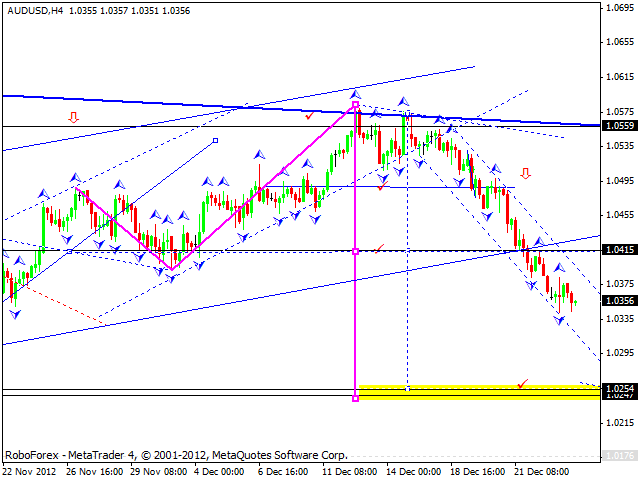 The USD/CHF currency pair formed another descending structure, which may be a part of “triangle” pattern. Today, in my opinion, the price may form the fourth and fifth structure of this pattern. After that, I think, the pair may start forming a new ascending structure from the pattern’s lower border to reach the level of 0.9240. 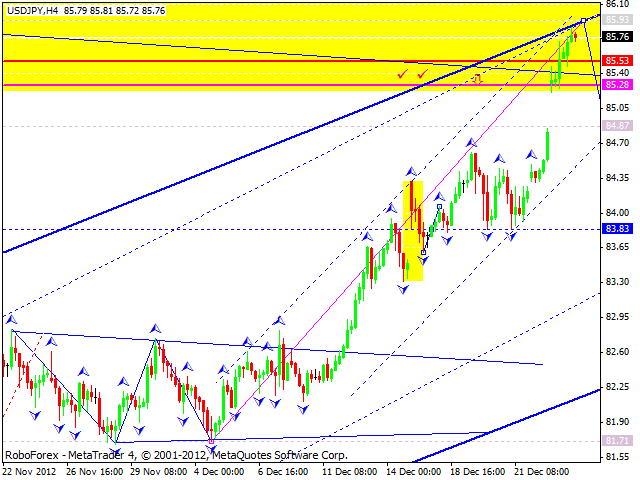 The USD/JPY currency pair is expanding its ascending wave. Today the price may reach the level of 85.93 and start a correction. 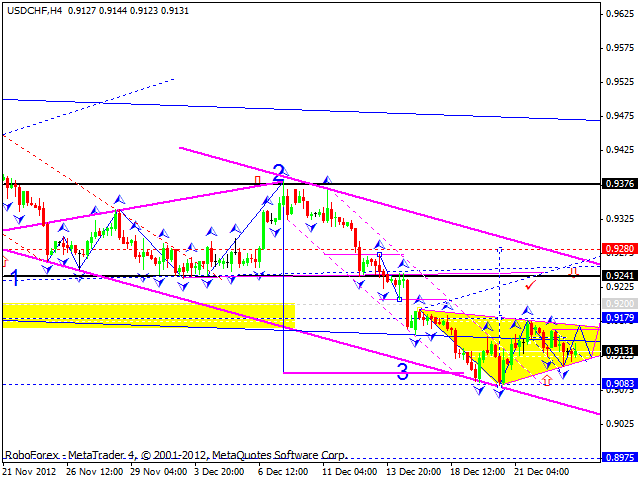 The first target is to eliminate the gap at 84.85 and then to continue falling down towards the level of 83.80. The final target of the correction is at the level of 80. Australian Dollar continues forming a descending wave with the target at 1.0254. After reaching the target, the price may start a correction towards the level of 1.0415 and then form a new descending movement to reach the target at 1.0245. Gold formed an expanding consolidation channel. I think today the instrument may grow up from the level of 1651 towards the target at 1671, form another consolidation channel, and then continue moving upwards to reach the level of 1690. Later, in my opinion, the price may be expected to start one more correction and reach the target at 1707.